Our November Book Basket has been filled for the month and I have a few new additions to share with you all! I'm especially excited about the addition of The Story of St. Elizabeth of Hungary by William Canton, originally published in 1912, which has just recently been reprinted. (St. Elizabeth of Hungary is one of the two patron saints I choose at my Confirmation.) I try to choose a couple chapter books on the lives of the saints to read aloud to the children each month and I plan to start reading The Story of St. Elizabeth of Hungary, in preparation for her feast day, just as soon as it arrives. After that we will move on to God's Secret Agent which is out of print, but we happen to have a copy from my (or maybe this one if from my husband's) childhood collection. Those who delight in Canton's other well-loved children's books, A Child's Book of Saints and A Child's Book of Warriors, will find much to satisfy in his Story of Saint Elizabeth of Hungary. Canton has consulted some of the earliest sources to assemble a tale as rich in historical detail as it is in poetic beauty. 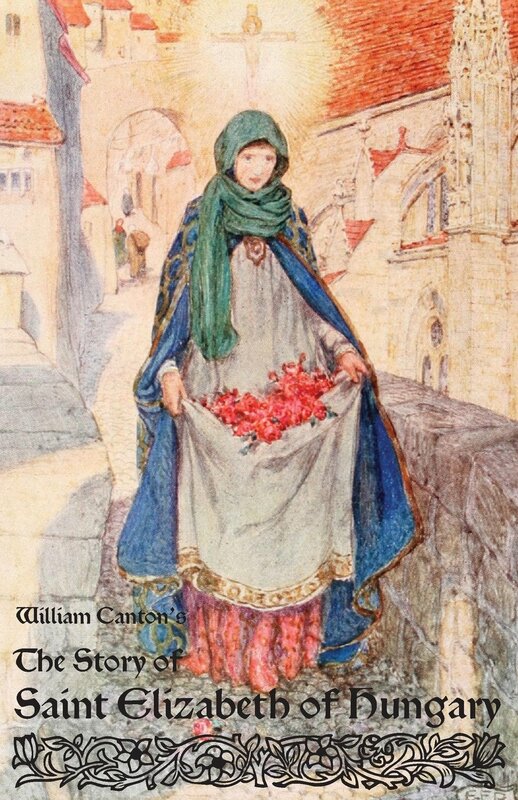 Saint Elizabeth's sweetness and generosity are brought to life in these pages, now beautifully retypeset and enhanced with a map showing the locations as they were in 13th century Europe, as well as the breathtaking full-color illustrations of Eleanor Fortescue Brickdale, found in the original 1912 edition. This story of Saint Cecilia is set during the papacy of Urban I, which began in the year 222. Reading this story about Saint Cecilia can help us to see how the sacrament of Baptism can strengthen our faith in God and help us view the world in a new light! Saints come to life when kids can read, color, and play all in one book! This comic-style coloring book with cut-out trading cards, activities, and games teaches children about the amazing life of Blessed Miguel Pro. Born in Mexico in 1891, he was the third of eleven children. During Miguel's life, Catholicism was banned in Mexico. Anyone caught practicing the Catholic faith was persecuted. Despite this risk, Miguel became a Jesuit priest and courageously celebrated Mass and administered the sacraments. His cheerfulness and great sense of humor encouraged many of his Catholic countrymen. He was eventually martyred, expressing his love for Jesus with the words "Long live Christ the King." Saint Andrew was the brother of Saint Peter, the first Pope of the catholic Church. After listening to the teachings of St John the Baptist, Saint Andrew became the first disciple of Jesus. Reading this story can encourage us to follow in the footsteps of St Andrew who answered the call to holiness and brought others to Jesus.